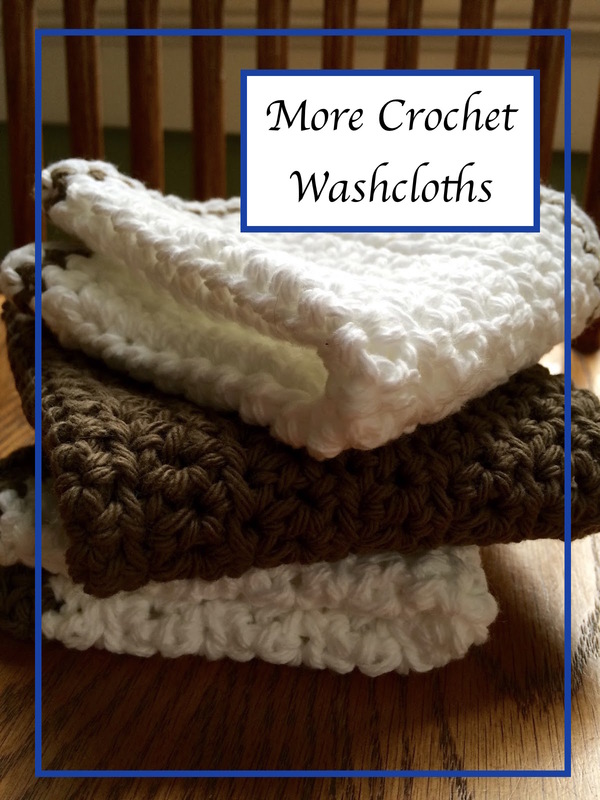 You can never have enough washcloths. Here are some I recently worked up with cotton yarn in a variety of colors. The cotton yarn can be purchased at Walmart or your local craft store for under $3. I can usually get two washcloths from one skein. I thought it would look nice to do cloths in coordinating colors and vary the border design. These would make a great gift when paired with nice dish soap, towel and crochet towel holder. 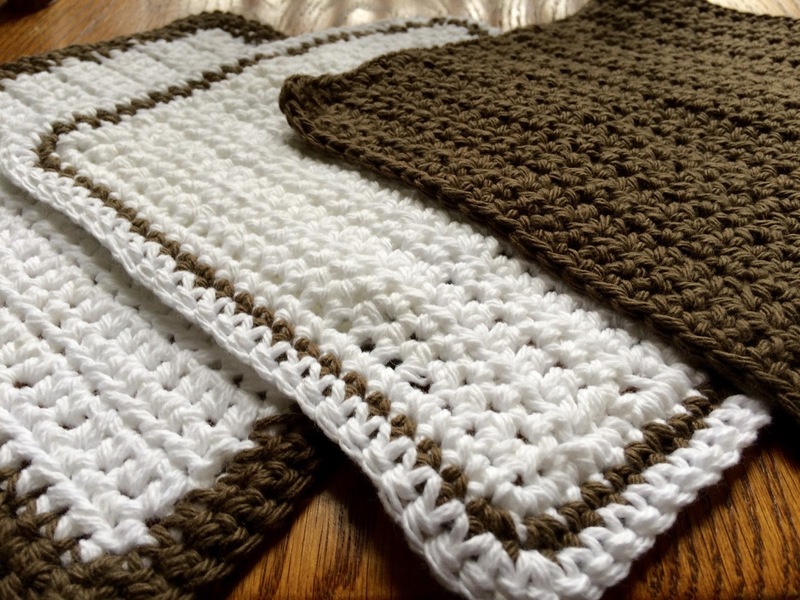 Here's a link for a crochet towel holder I made, and a pattern for one you can make yourself. Above are some I worked up with white and green. I put a ruffled edge on the white one to give it a little flair. 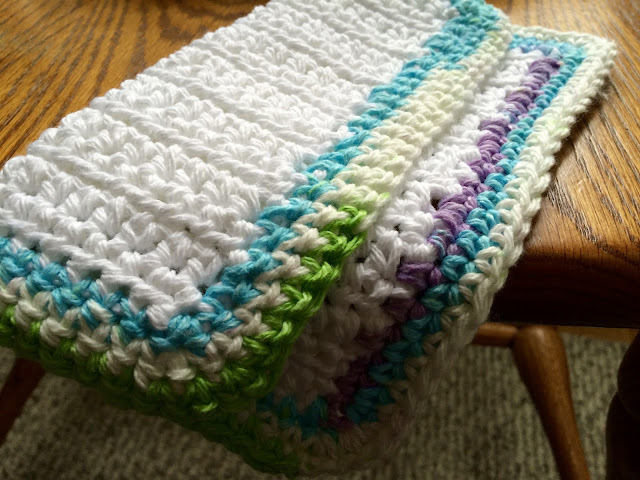 The bottom one is white with a multicolor cotton yarn as a border. I had a very small amount of this multicolor yarn laying around from a bag of yarn a friend of mine gave me. This border was a perfect solution to use it up! You can add a different color or fancy border. 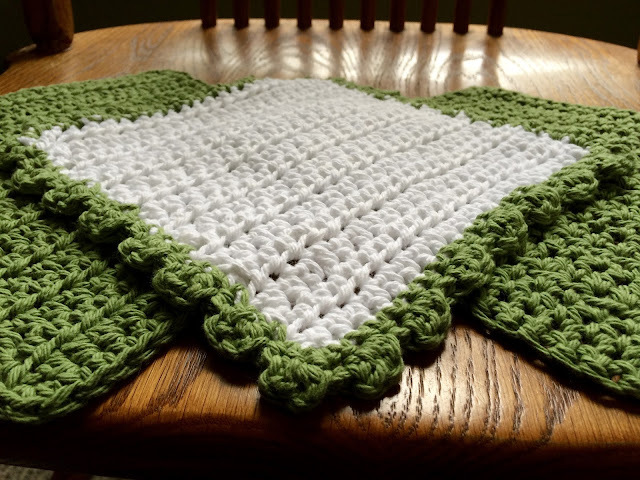 Or you can keep it simple as in the original pattern, with a single crochet border in the same color as the body of the washcloth.